﻿It all boils down to a question of attitude. Ask yourself this. Do you face horrible problems that keep you in a constant state of worry and panic, or do you see unique obstacles that need to be challenged and overcome? These books and CDs will help you convert your problems into simple obstacles and give you the key to elevate yourself to a more advanced level of thinking and living to create a happier and more balanced you. By achieving complete self-control, the door to personal freedom and living in a harmonious environment will open, leading you to a joyous future. Nothing Is Stopping You––But You! Generally, people are their own worse enemy. They paralyze their well-meaning actions with insecurities and fear, which hold them back from taking the necessary steps toward their personal happiness and absolute freedom. This keeps them caught up in the misery of their everyday life without any hope of finding an exit. 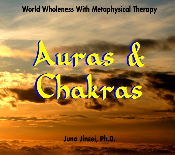 But, no matter what is holding you back, these self-help books and healing CDs will act like a guiding light, leading you to the window of your soul. There, within yourself, you will be able to find the answers to your most profound questions and alter your destructive behaviors by merging with your Higher Self. 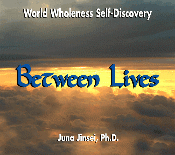 Juna Jinsei Ph.D. is a Pastoral Counseling Psychologist with a Masters degree in Metaphysical Sciences, and the founder of World Wholeness, Inc. She has spent her life as a scholar of ancient philosophies, world religions, and metaphysical practices. As a youth, she began studying and practicing the Dao and strict Theravada meditations for self-purification under several spiritual teachers. This soon led her to the practices of Yogacara and Zen of the Mahayana Buddhist tradition. She advanced in Buddhist theology by working several years in the Venezuelan study department of Nichiren Buddhism, where she helped interpret the essence of Buddhist scriptures and translate them from English to Spanish. And now, she offers these life balancing ancient practices to you.